Lice Lifters | The Fastest Growing Lice Franchise in the U.S.
As soon as the weather gets warm people start to gather more. Whether it is at sporting events, sleepovers, BBQ’s or just for a selfie – nice weather brings people together. This is always the beginning of lice season. It only takes one person with lice to spread it to everyone. One child at camp will soon have the whole camp infested. Lice Lifters of Cranford is offering 50% off all pre-camp lice head checks. It is important to get checked before came because all it takes is a little head to head contact to spread lice. 90% of lice is spread from head to head contact. Call and make an appointment today. Also pick up The Nit Nanny Mint Deterrent Spray to keep lice away! Every camper should have their own bottle of The Nit Nanny Mint Deterrent Spray to spray on their head each morning. Many school districts new guidelines state that parents no longer have to pick kids up from school when diagnosed with head lice. They feel that one treatment with a pesticide based over the counter product is enough to get them back in class. The CDC, Schools and Doctors say kids are missing too much class time because of lice. One problem is schools and doctors are not the experts on lice. Lice Lifters in New Jersey is the expert. Lice Lifters of Cranford knows how to treat head lice and clean-up the house and classroom. The Schools are steam cleaning the classrooms. This is a waste of time and money. Lice want to live on the head not a desk. Another problem is students are not being treated properly. One family treats their family at Lice Lifters and is 100% lice free. They send their child clear of lice back to school and another child was treated with over the counter pesticides. Both moms treated their children, but the child treated with OTC Nix or Rid may still have lice. (lice are resistant to pesticides) Now that child continues to spread lice and gives it back to the “cleared” child. It is a viscous cycle. via Lice Lifters suggests checking children of all ages for head lice. It is spring and the season that Lice Lifters in New Jersey sees more cases of head lice. Some students from Penn State were home visiting their families and were diagnosed with head lice. Their parents rushed them to Lice Lifters in Cranford. 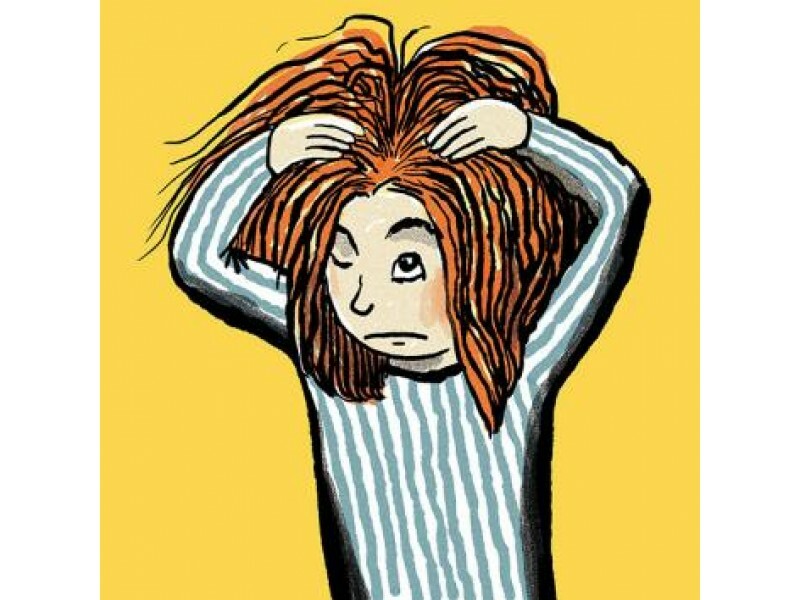 Lice Lifters, of course, suggested that the whole family be checked for head lice. Most cases there were additional family members with lice. Let’s face it people freak when they hear lice. Here at Lice Lifters in New Jersey we understand parent’s frustration about lice; but say they don’t need to worry. Lice are definitely a nuisance and annoying, but they don’t carry diseases. Many schools have new guidelines; parents no longer have to pick kids up from school when diagnosed with lice. When they are diagnosed the parents do freak-out. Lice Lifters in New Jersey’s job is to calm everyone down. Lice Lifters in New Jersey get dozens of calls each week from frantic parents asking how to stop the itching. First we tell them that only 50% of people itch from lice and that they have to get treated. Secondly, we inform them that the over the counter products like Nix and Rid not only don’t work, but they will aggravate the itchy scalp more. They are pesticides that lice are resistant to and they are toxic. After that conversation families want to come in to Lice Lifters in Cranford to be treated with our all natural products and treatment that will guarantee the lice will be gone. We have a unique process that will eliminate all lice and nits. The problem with doing it yourself and Nit Pickers is if 2 nits are missed – they are going to hatch and then your child is going to have what you think is new lice when in fact it the same lice they had before but it just hatched out of your kid’s head and is now crawling around again. Call Lice Lifters in New Jersey, our Cranford location for the #1 lice treatment available. 908-967-6121 or check out our website www.licelifternorthnj.com for a location near you. Even though many might scratch their heads at the idea, treatment owners say lice removal is needed in their areas! Lice Lifters in New Jersey is so happy to congratulate the new Lice Lifters owners in Dallas TX, Lancaster PA and South Florida. Lice Lifters New Jersey knows how needed their treatment center is when a family gets lice. They also know that if ever there was a business that just itches for a pun, it would be lice removal services. The common expressions like Nit Picker and Lousy Day came from treating lice. There are about 12 million children a year reported with head lice in the United States. Lice Lifters is committed to helping one family at a time. There is a lot of scratching just thinking about it. (908) 967-6121 or look at our website liceliftersnorthnj.com. We are here to help!